GIMBLETT GRAVELS wines added 3 Trophies and 12 more Gold Medals to the trophy cabinet at the 2009 Air NZ Wine Awards. The red wines led the way with a clean sweep in the Merlot, Cabernet Sauvignon and Merlot and/or Cabernet Sauvignon Blends and Other Red Varieties classes. Gold medals were also awarded in the Syrah, Chardonnay and Viognier classes. Champion Wine of Show, Best Sustainable Wine of Show, 6 category trophies and 12 gold medals – this was the haul for GIMBLETT GRAVELS wines at the recent Hawke’s Bay Wine Awards, judged by a panel of leading international and local palates. Balthazar Estate’s Gimblett Road Syrah 2007 was awarded Champion Wine of Show (and Champion Syrah) with Sacred Hill’s Brokenstone Merlot 2007 awarded Best Sustainable Wine of Show and Champion Merlot. Vidal Wines Reserve Merlot Cabernet Sauvignon 2007 won the trophy for Merlot Dominant Red Blends. Museum Class – Squawking Magpie GIMBLETT GRAVELS Chardonnay 2005. The MUNDUSvini International Wine Award is a competition held in Germany for wines from all the wine-growing regions in the world. Today MUNDUSvini is the largest officially recognised wine competition in the world with 5726 wines entered in 2009. 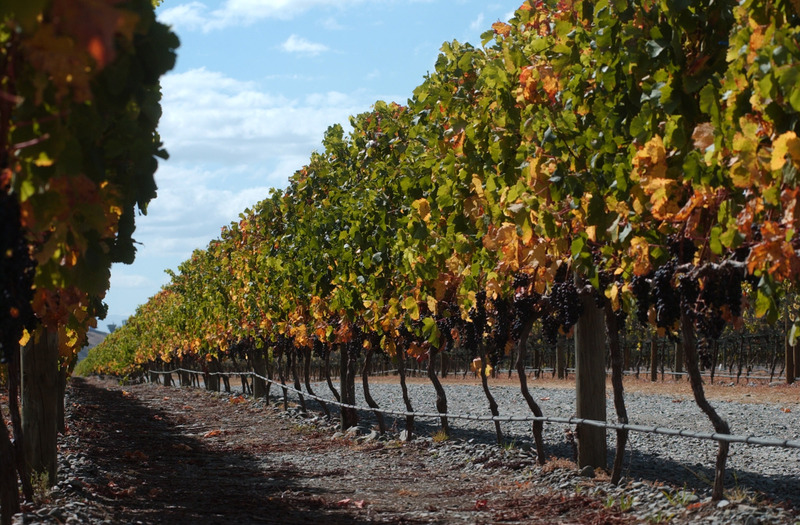 GIMBLETT GRAVELS 2007 vintage wines dominated the fuller bodied reds categories, securing 2 trophies and 6 gold medals. This wine competition focuses on under $25 priced wines with minimum production volumes of 500 cases. GIMBLETT GRAVELS wines further demonstrated quality for value, winning 3 of only 36 Gold Medals awarded. NZ International Wine Show -Wild & White! It was the turn of GIMBLETT GRAVELS white wines to feature prominently, although Wild Rock Gravel Pit Red Merlot Malbec 2008 claimed the Champion Merlot Predominant Trophy. GIMBLETT GRAVELS wines led the NZ charge at the recent Tri-Nations Wine Challenge, winning 2 trophies,3 double gold (runner up) and 9 other gold medals for their red wines. Recently, Jancis Robinson commented how similar, stylistically, GIMBLETT GRAVELS wines were to Bordeaux and this was reaffirmed with trophies in the Merlot and Bordeaux blends categories. It has been another successful weekend for GIMBLETT GRAVELS at the 2009 Romeo Bragato conference in Napier. GIMBLETT GRAVELS red wines added 2 more trophies and 8 Gold Medals to its burgeoning tally at the 2009 Royal Easter Show Wine Awards.